On 8-th October 2018 we held the tenth workshop with children from 9 to 11 years old from ”St. Paisii Hilendarski” Secondary school – Plovdiv. Among the children there was a student with moderate speech disorder and two students with visual impairments. At the beginning, Mrs. Grudeva acquainted the participants with the objectives of the project. 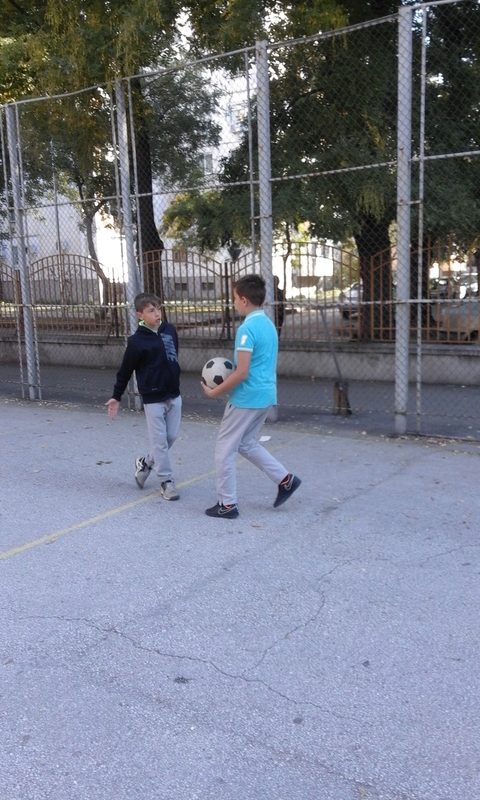 The training started with a warm-up, as we appointed a disabled student to show the exercises to the others. The students with visual impairments were arranged to stay with another student between them (for example: second and fourth). The other participants were asked to be tolerant to them because they were wearing glasses, and if they broke them, they might get injured. The game started. The teams were set. 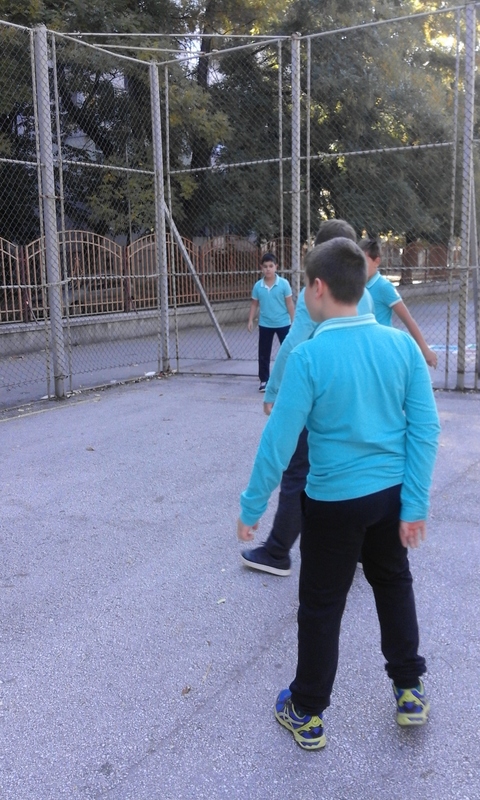 As it was suggested by the players and approved by all the students, the pupils with visual impairments were allocated as goalkeepers of both teams in order to be avoided a collision. The other participant with speech disorder was set to be a center striker. He is also a graduate of a football club “Lokomotiv” – Plovdiv. The game lasted 35 minutes. All the players participated with great enthusiasm. There was tolerance among the participants and no one was neglected. At the end of the game, there was a slight dissatisfaction just because the game was over but everyone was visibly pleased with the match, which showed that the goals of the project were achieved. The event was organized by Mrs. Grudeva and Mrs. Ikimova as the tenth workshop within the project to raise students’ awareness of the benefits of sports.